We hope you've bought your hat, found the confetti and hung out the Union Jack bunting, because the wedding of the year is finally upon us. A royal wedding is always worth getting excited about and never more than when it involves a prince and an actress. Harry's bringing the royal, Meghan's bringing the Hollywood, and the BBC is bringing the live stream, which you can watch for free from anywhere in the world. 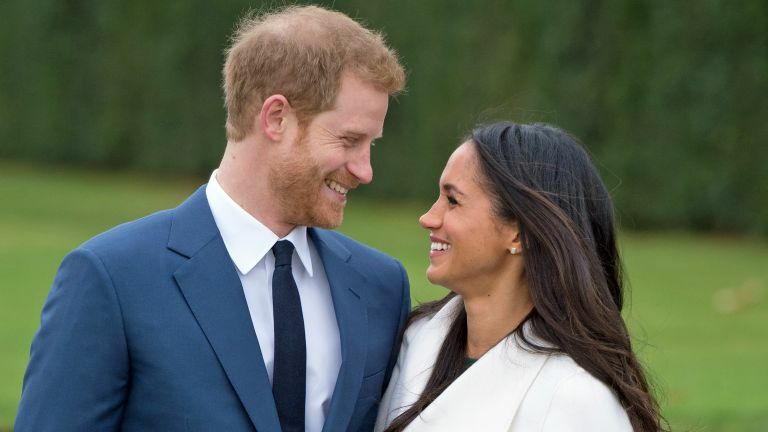 Harry and Meghan's royal wedding is taking place this Saturday May 19 in St George's Chapel in the grounds of Windsor Castle – a suitably regal venue for the official guests and thousands of onlookers. Harry and his best man Price William are expected to arrive there at around 11:45am BST, followed by the Queen herself 10 minutes or so later. All we need then is the bride Meghan to walk down the aisle with the ceremony due to start at midday BST. Once the formalities are taken care of, Windsor's streets will come alive with a right royal procession from 1pm BST – cue flag waving and curtsying galore. The great news is that you don't have to venture to the shires to see Harry and Meghan's big day. Regardless of where you are in the world, you can watch it all from the comfort of your own sofa (or mobile device). We'll talk you through getting a free royal wedding live stream below. That's the easy bit – the hard part is going to be trying to hold the tears back when you hear "I do". Once it's been downloaded and installed, open the app and select a UK server location (it's super easy) and then head over to TVPlayer.com from 9am BST / 4am ET / 1am PT / 6pm AEST. That's when the coverage starts, with the ceremony itself taking place at midday London time. Where else has a royal wedding live stream? As we've already said, old aunty Beeb has all the UK coverage of the Harry and Meghan's royal wedding. But an event this magnitude can't be contained by just one broadcaster, oh no! ITV and Sky News will also be showing it, with Sky going all out with 4K UHD pictures. Or simply watch via TVPlayer if you want to easily flick between the three. Not intending to be at home to watch? Then you can install the BBC iPlayer or ITV Player apps to your phone or tablet, too. There are absolutely loads of options to watch in the US, so the only thing you'll need to sort out is the strong coffee for your early start. BBC America and BBC World News will be showing the event from 4:15am ET, 1:15am PT. But networks such as CBS, NBC, ABC and Good Morning America will all be showing coverage on TV, online and on their mobile apps. Foxtel will sow the BBC coverage from 7pm AEST, with local broadcasters ABC, SBS, Seven and Nine all televising it as well with start times ranging from 7pm to 7.30pm AEST. CBC is showing the royal wedding in Canada from 4am EST (1am PT). The ceremony itself starts three hours later, so some interesting breakfast watching if you're on the East coast. The BBC coverage is being broadcast by TVNZ from 10.30pm Wellington-time in New Zealand. You don't get any more coverage than that, so you'll need to tune in with a VPN if you want the entire build up and see the guests arriving over the course of the evening. Ideal if you're in one of those countries, but there's no need to worry if your're not and your country isn't showing it. Cast your eyes upward to learn how to watch the wedding as it happens with a VPN.